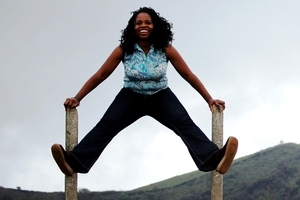 Although she spent her younger years in sub-Saharan Africa, alumna Lola Akinmade ’99, ’02 likes the cold. In fact, at the moment, the information systems/geography major is living in Sweden. And, she’d like to get much, much colder. Akinmade is currently in the running for a trip to the North Pole during which she would blog, tweet and Facebook about her experiences. But in order to make it happen, she’ll need lots of votes to push her past the finish line and into the Arctic Circle. Read her full story and vote here.